There are many venues in the United States where you can showcase your Bracco Italiano’s talents, or where you can meet the breed! 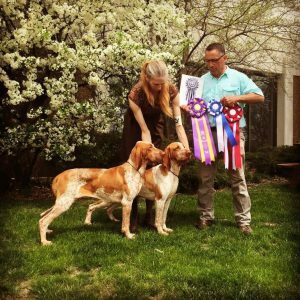 The Bracco Italiano Society of America also offers awards to dogs in conformation and versatility. Check out these links below to learn how you can get your dog involved. Earn points toward a BISA conformation championship by showing in either American Kennel Club Open Shows or BISA Specialties. 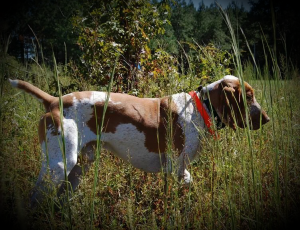 Earn points toward a BISA Versatile Bracco Italiano, Versatile Advanced, and Versatile Excellent awards by accumulating points in performance events as well as conformation. This award recognizes the versatility of our breed.